A 7.3-magnitude earthquake has struck eastern Nepal, near Mount Everest, killing at least four people. The new tremor hit the country two weeks after more than 8,000 died in another devastating quake. An unknown number of people are injured in the latest earthquake, according to aid agencies. The quake hit near the town of Namche Bazaar, near Mount Everest. According to the US Geological Survey, the latest earthquake had a magnitude of 7.3. The April 25 earthquake, centered in western Nepal, had a magnitude of 7.8. The latest tremor was felt in northern India and Bangladesh. In the Nepalese capital Kathmandu, which was badly damaged last month, people rushed out of buildings as the quake struck at 12:35 local time. 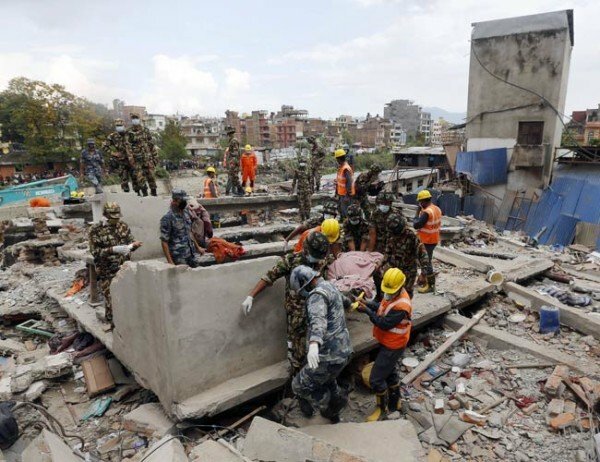 At least four people were killed in the town of Chautara, east of the capital, Kathmandu, where a number of buildings are reported to have collapsed. The International Organization for Migration said bodies were being pulled from rubble there. The epicenter of the latest earthquake was 52 miles east of Kathmandu, in a rural area close to the Chinese border. It struck at a depth of 11.5 miles, according to the US Geological Survey. The April 25 earthquake was 9.3 miles deep. Shallower earthquakes are more likely to cause more damage at the surface.